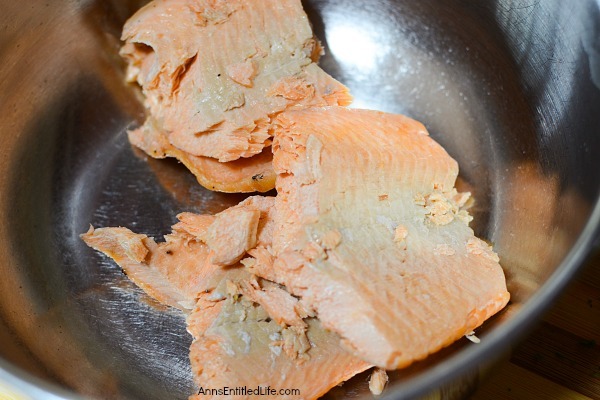 This simple to make salmon recipe is great for using up leftover cooked salmon. 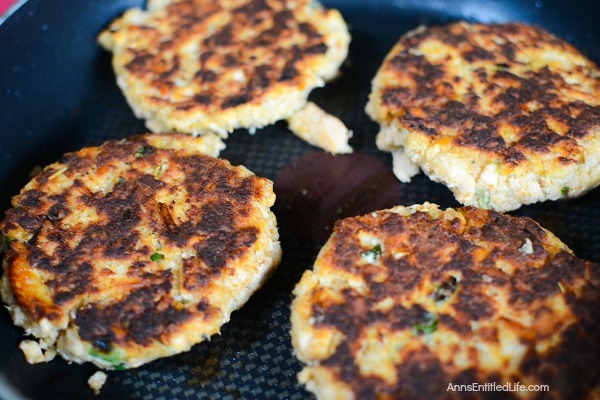 Ready in about 15 minutes, these salmon patties are a fabulous lunch or dinner entrée. • This recipe lists one egg. Two eggs would make for a better binder if you like egg. So, while one egg works, two eggs work too. • Italian seasoning is used. You can change it up and use dried dill weed or thyme. • If you do not like dried red chili flakes, omit them from the recipe. • For a variation, try adding chopped sweet onions, or sauté green onions in the pan for flavor before adding the salmon patties (up the butter a tad). • Garnish with tartar sauce, chives, parsley flakes, pickles, lettuce and/or tomato. 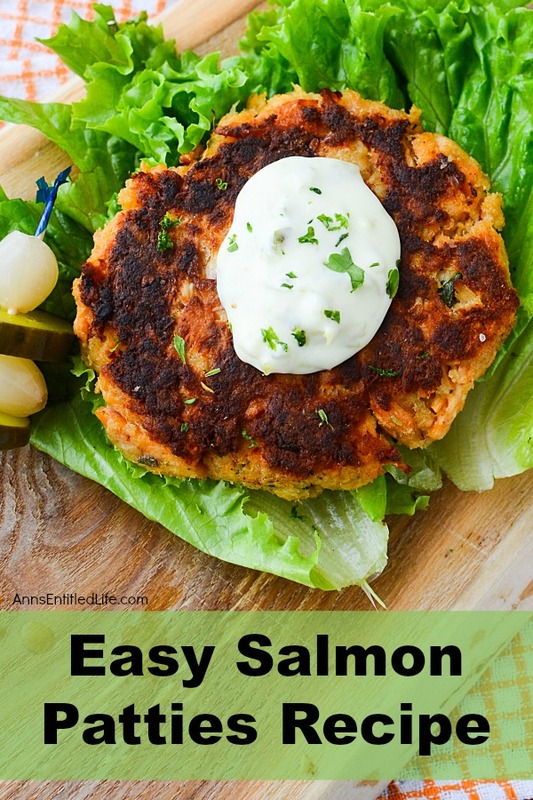 • These salmon patties may be served on a bun as a sandwich, or plain as a main entrée. 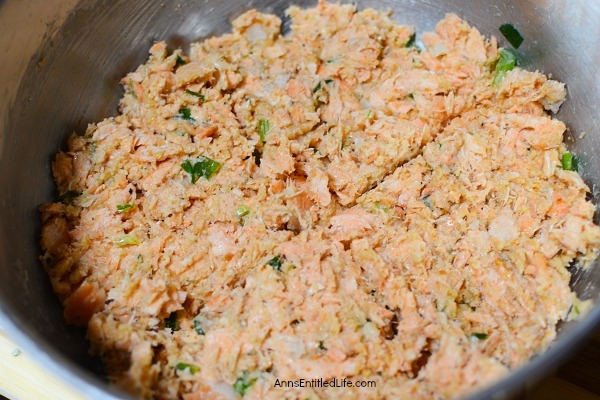 • Mash the salmon in a bowl until these are only small pieces left. • Add egg, breadcrumbs, red chili flakes, Italian seasoning, garlic powder, salt, pepper, and chopped green onions to the salmon in the bowl. Combine and mix well. 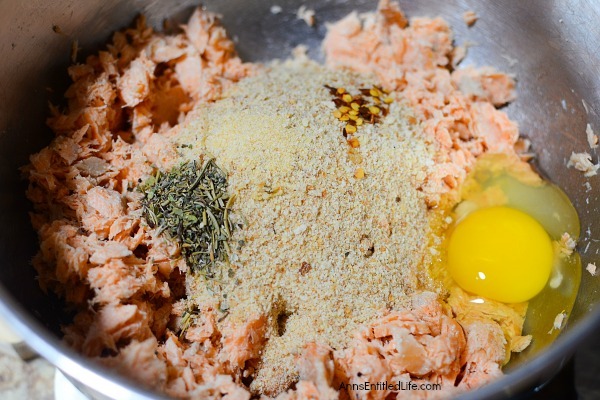 • Section the salmon mixture into four quarters. • Take each quarter section and form into a patty shape. 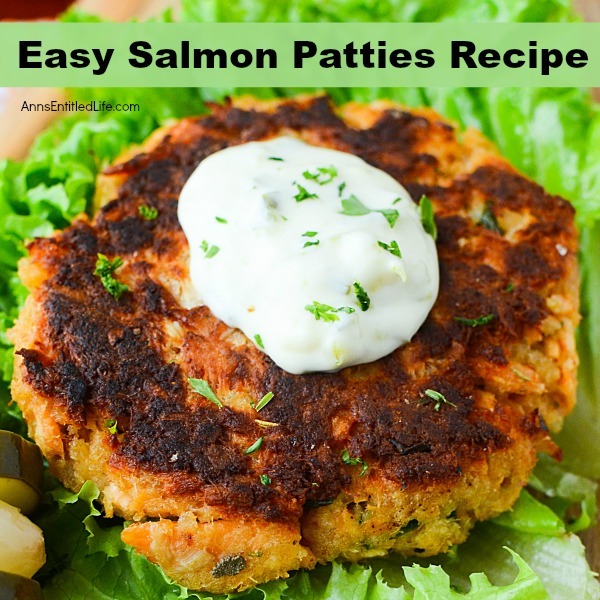 • Heat a frying pan large enough to contain the four salmon patties, and melt the butter. • Fry the patties until cooked through, flipping once to the other side. Cook approximately 4 – 5 min per side. This simple to make salmon recipe is great for using up leftover cooked salmon. 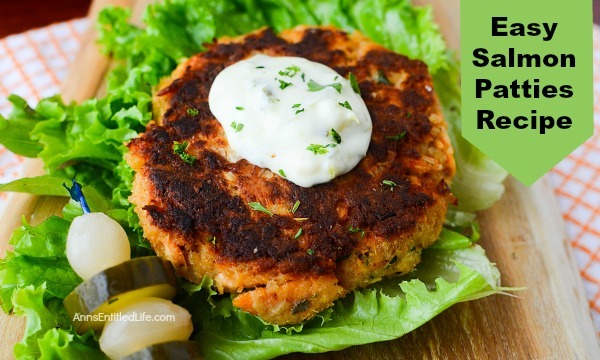 Ready in just five minutes, these salmon patties are a fabulous lunch or dinner entrée. • Fry the patties until cooked through, flipping once to the other side. Approximately 4 – 5 min per side. 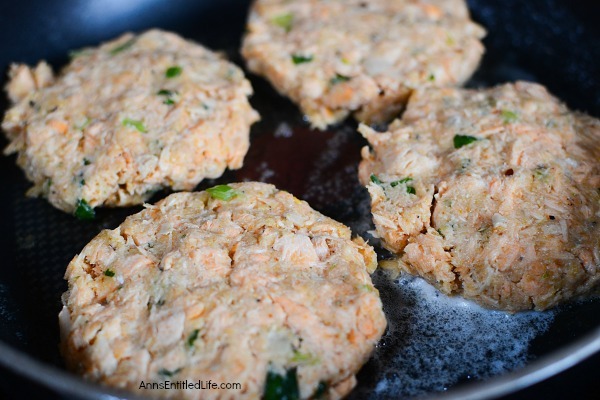 • To print the Salmon Patties recipe click here. This is a great idea! We eat salmon pretty often and I’ve gotten a bit bored with our normal prep. Salmon patties would be a nice change! This looks so yummy and easy also. I am not a big kitchen fan so finding a healthy easy to prepare lunch or dinner idea is always appreciate. Wonderful pictures also. Thanks so very much for posting this.